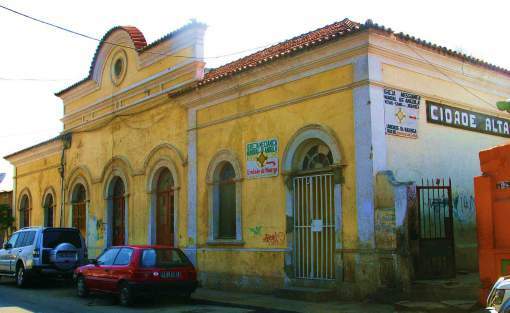 Former Cidade Alta train station. Photo by H. Koning. There is still time to sign up for the REVIVER Bus Tour of Historic Luanda, sponsored by NEAAUD, an organization working to protect, preserve and promote the cultural heritage of Angola´s capital city. You must register in advance. Space is limited so sign up asap. Where: Departing from Lusíada University, across the street from Cha de Caxinde, next to the old BESA bank which is now Banco Economico, in downtown Luanda. DOWNLOAD A MAP – CLICK HERE. 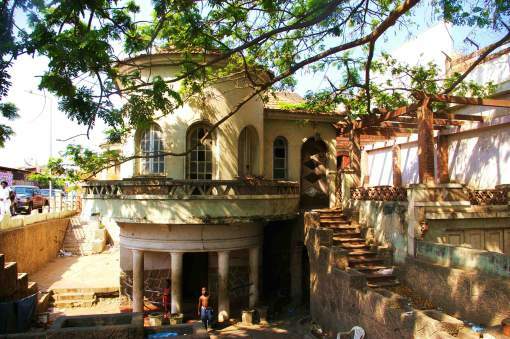 The tour will stop at various locations including the Jesuit Church which is tucked away in Cidade Alta, the old train station in Cidade Alta and the National Bank (Banco Nacional de Angola), the iconic pink building on the Marginal. The tour lasts approximately 3 hours. The Train Master’s house located just across the street from the station. Photo by H. Koning. A Campanha Reviver parceria entre o CEICA (Centro de Estudos e Investigação Cientifica de Arquitectura) e KALU (Associação dos Naturais, Residentes e Amigos de Luanda), coordenada por Ângela Mingas e Cristina Pinto tem como Tema a DIVULGAÇÃO, DEFESA E PROTECÇÃO DO PATRIMÓNIO DA CIDADE DE LUANDA.